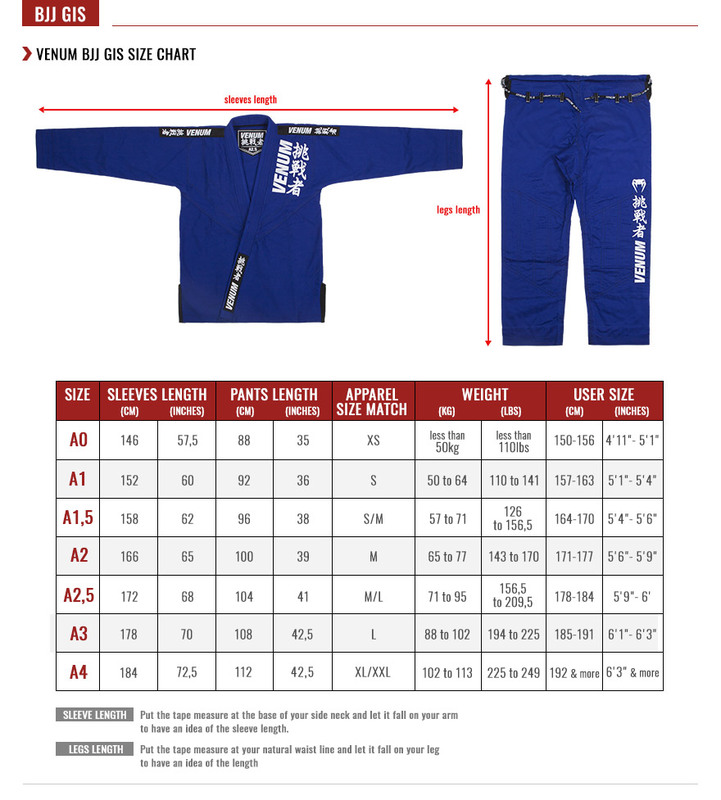 The Venum Absolute Koi BJJ Gi is a unique product that will delight all Jiu-Jitsu fighters! Preshrunk and made of premium cotton, this Venum Gi is designed to last. Its 450 gsm rip resistant jacket also features an EVA foam collar to help you resist grips and counter the attacks of your opponents. With ripstop pants that are reinforced inside of the leg and ankle cuffs. Venum Absolute Koi Gi was manufactured with attention to detail. Its sublime interior is fully lined polyester/spandex providing extra comfort. 100% premium cotton more durable material. Jacket 450 gsm with rounded, reinforced slots. Trousers 250 gsm Ripstop with reinforced stitching at the inside of the leg and ankle circumference. Treaty to prevent colors déteingnent.